I’m always a sucker for a fun craft or two to jazz up any holiday or celebration. The easier and peppier the better! 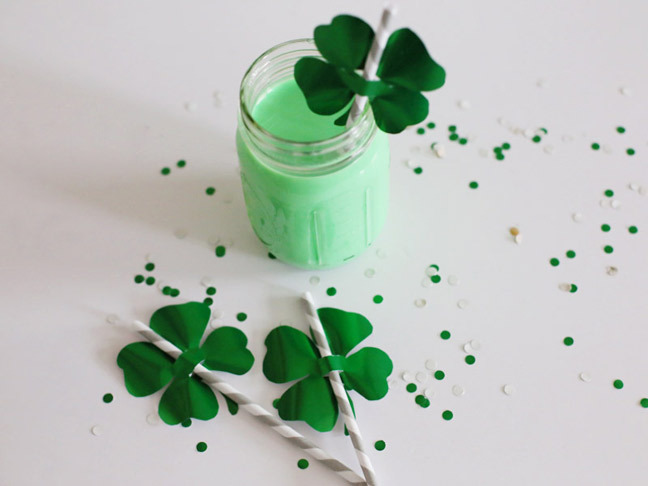 These simple shamrock straw toppers are such a festive way to add a little green to your St. Patrick’s Day. 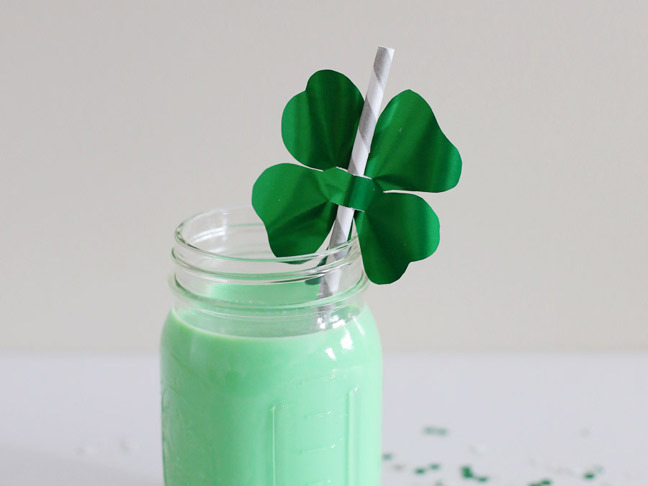 Surprise the kids by serving up green milk at breakfast with one of these straws, and you’re sure to please! 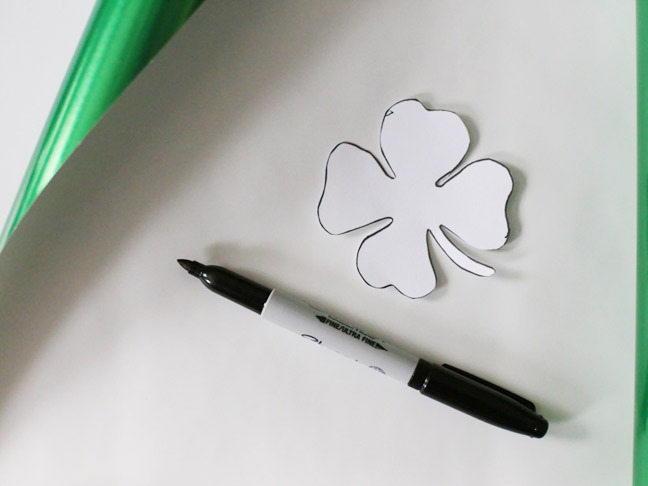 Step 1: Begin by creating a template by printing a shamrock shape onto a piece of card stock. I found mine by simply doing a web search for shamrock clip art. 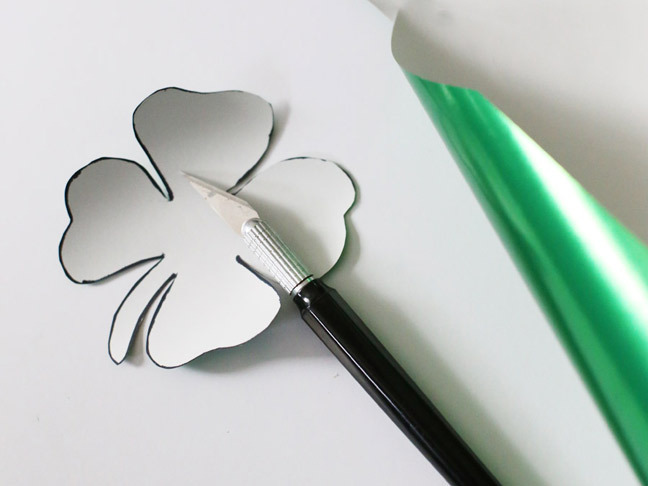 Cut out the shamrock template and trace it onto the reverse of your green gift wrap or paper. 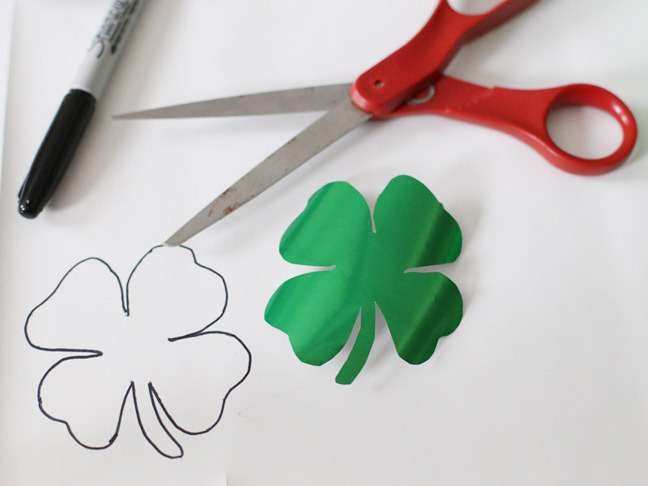 Step 2: Using your scissors, carefully cut out each of your shamrocks. 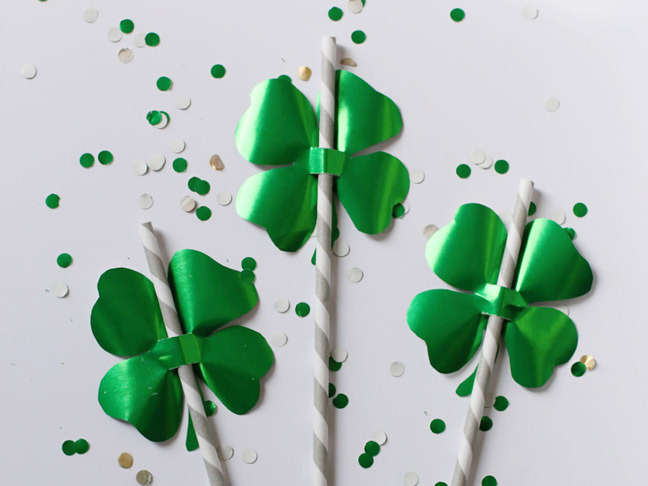 I chose a metallic green gift wrap for my shamrocks, which I found at a local party store, but construction paper would also work well. 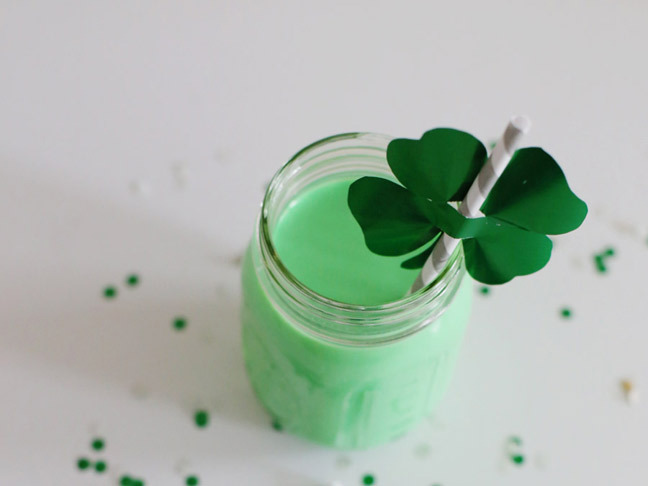 Step 3: Using your craft knife, cut two slits approximately 3/8″ of an inch apart along the back of your shamrock. You’ll want them approximately twice the width of your straw so it can easily slip through. Then slide your straw through the slits, and you’re all done.